Everyone loves a good blueberry muffin, don’t they? 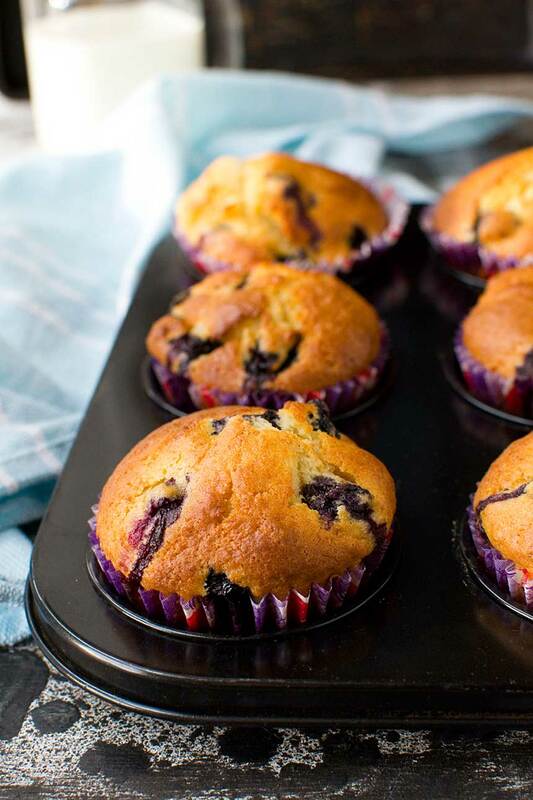 Enter these super light, moist and airy blueberry muffins made with protein-packed Greek yogurt. And as they’re relatively low sugar, you can enjoy one (or two – why not?) guilt free! I received a rare compliment indeed from Mr. Scrummy the other day when I made these Greek yogurt blueberry muffins. Now maybe this isn’t saying much coming from someone who isn’t really a fan of muffins (how can that be?! ), but all the same I’m going to take it as a compliment, and as an extra vote of confidence that these are good – really good. This was one of those recipes that I was expecting to have to experiment with for a while to get right. But to my surprise it actually worked out perfectly first time. I think the thing with muffins is that there is a bit of wiggle room with the ingredients. If you add a tiny bit more or less liquid or sugar, for instance, you’ll still likely get a decent result, so long as you follow some simple guidelines. UPDATE 2019: Just take a read through of the comments below. Many readers have made adaptations and substitutions and these muffins always seem to turn out well! Well, nothing earth-shattering – but there’s nothing wrong with a little reminder! 1 Don’t forget the ‘basic’ rule of muffin making i.e. keep the dry and wet ingredients separate until the last minute, then mix until barely combined. A few lumps are fine. You just don’t want to overmix, get the gluten in the flour all excited and make your muffins tough. 2 Add a tiny bit of milk (about a quarter cup) to thin out the mixture a bit. Using loads of Greek yogurt is great, but it’s thick, so we need to keep the consistency right! 3 As well as using baking powder, add a half teaspoon of bicarb of soda to balance out the acid in the yogurt and make sure you get a good rise and colour on your muffins. 4 Add PLENTY of blueberries so there are blueberries in every bite. Mmmm! 5 Erm… don’t forget the oil! I made these again last weekend and ended up having to make them twice as I forgot to add the oil the first time. I wondered why the batter was so dry and added more milk before I realised what I’d done. Duh. Can I still blame baby brain? 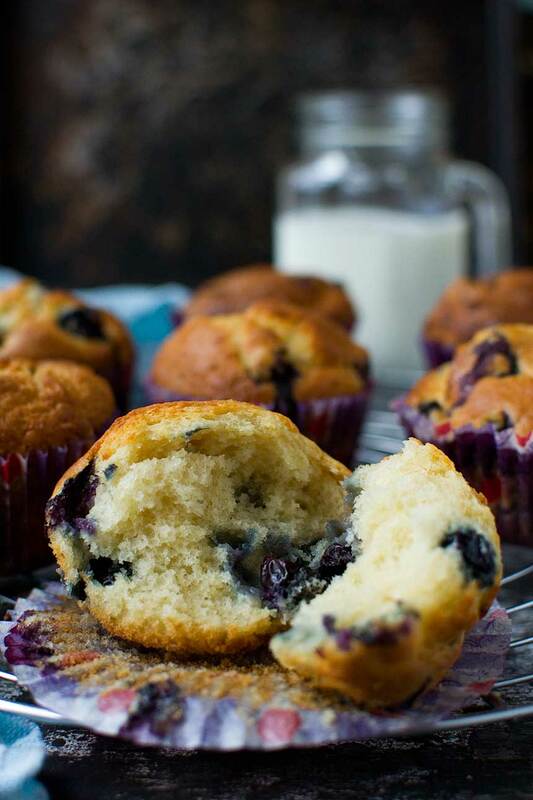 I really enjoyed making these muffins because, well… BLUEBERRY MUFFINS!! But also… I have to say it’s pretty satisfying enjoying a truly light and airy muffin that also happens to be fairly light on sugar. And if calories happen to be important to you, each of these muffins only contain about 270 calories. I’m not sure if that makes them ‘skinny’ muffins, but then again Starbucks’ skinny blueberry muffins contain 317 calories, so I’ll leave you to decide. It’s also very satisfying being able to cook up a batch of these so quickly. As they contain oil not butter (I used a combination of canola and olive, but any is fine), there’s no creaming or even melting involved. Just throw everything together (but not too quickly, in case you forget an ingredient like I did a few days ago! ), pop into muffin cases, and bake. 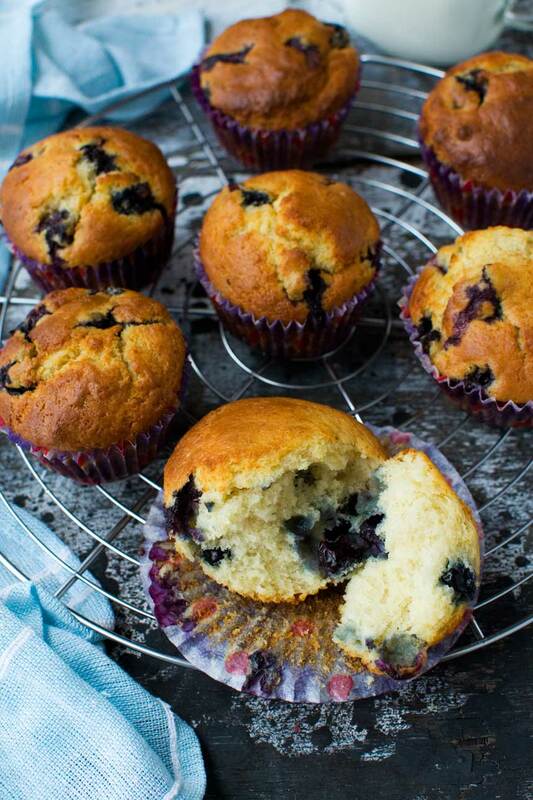 How long do these blueberry muffins last, and can you freeze them? I thought I’d have to freeze some of these muffins as we wouldn’t be able to eat them all before they went past their best, but no. I just ate the last one 4 days after baking (sorry not sorry, Mr. Scrummy! ), and it was still light and moist. Although I do find they don’t last quite as long in the summer. And when they truly are on their last legs, just pop them in the microwave for about 15 seconds before eating. Spoon over a little extra Greek yogurt (why not?) and enjoy! But you can freeze them of course, if for some bizarre reason you can’t eat them all in a few days. Just make sure you cool them completely, then store in freezer bags for up to 3 months! 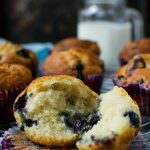 These Greek yogurt blueberry muffins have proven so popular (and I still make them ALL THE TIME) that I decided to post a chocolate chip version! You can find my recipe for Greek yogurt choc chip muffins (also fairly low sugar) here. Enjoy! I’ve also added a how-to video to this post (scroll down to below the recipe, or see top of post on desktop). You’ll see that I’m making the chocolate chip muffins in the video, but the method and ingredients for this blueberry muffin recipe are exactly the same. Just switch the chocolate for blueberries! 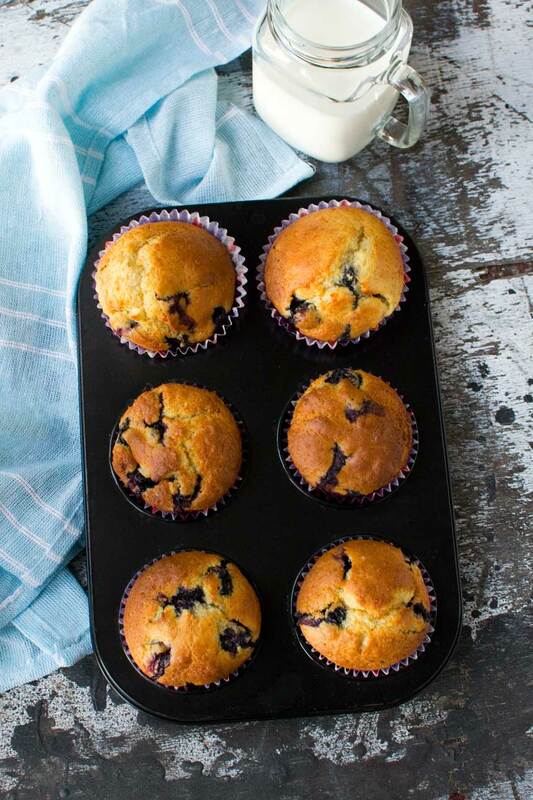 Light, fluffy and pretty low calorie blueberry muffins. And they couldn’t be easier - just throw the wet ingredients into the dry, stir, and bake! Add the wet ingredients to the dry. Stir until just combined. Fold in the blueberries. Add a tiny bit more milk if the mixture still seems too thick (the consistency of the batter can vary depending on which brand of yoghurt you use). You want the batter to be a soft dropping consistency. Spoon the batter into muffin cases placed in muffin pans (you can fill almost to the top). Sprinkle a little extra sugar (white or brown) over the top of the muffins, if you like, then bake for 17 to 20 minutes or until risen and golden and a skewer pushed into the centre comes out clean. I find that sometimes my batter is a bit thicker than other times, depending on which brand of yoghurt I use. If the mixture still seems a bit thick to you (you want it to be a soft dropping consistency, but not too runny) just add a bit more milk until it's thinned out a bit. The result will still be good if your mixture's too thick, but I find the muffins end up looking better if it's exactly the right consistency!!! And as for cooking time... although I usually bake my muffins for 17 to 20 minutes, sometimes they take longer to cook if they're bigger. One time I made some really big ones and they took a good 10 minutes longer to bake. Just keep checking with a skewer every few minutes if you don't think they're done after 20 minutes. A final note on substitutions/variations! 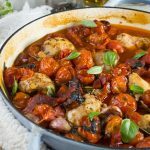 This is now one of my oldest and most successful recipes! I still make these blueberries regularly - at least once a month. We all love them! So we can safely say this is a tried and tested recipe. I hope you like it as much as we do. 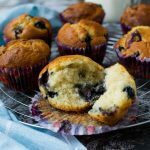 The greatest thing about these blueberry muffins is that no matter what substitutions or adaptations you make, they seem to come out well. Take a read of the comments below to see the different ways readers have adapted them. It really is hard to get them wrong! I do love a good blueberry muffin and these are perfect. I love that you made them low sugar and I’ll be trying these soon. Really hope you do, Janette. Let me know how you get on! These look amazing! I have been craving blueberry muffins and now all I want is to go get the ingredients and bake! I just printed the recipe, can’t wait to try making these! Great, Tina – really hope you enjoy them!! Next week will have boys off school and that can mean only one thing…lots of eating! Perfect timing as I need to make a few batches to get ahead of the baking game. 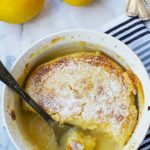 What I love the most about this recipe is that it has low sugar, Helen! 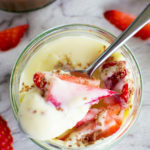 Easy and tasty treat! 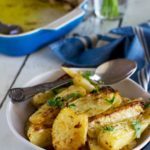 Hi Agnes.So happy you like the recipe and hope you give it a go soon! Helen, I so wish I had one of these in front of me right now – they have the perfect rise! And ooh so much blueberry goodness! I so appreciated reading your tips – sometimes I end up mixing the wet and dry together before they need to be – gah – gotta work on that! Those look divine! 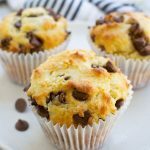 So light and fluffy, I love adding yogurt to cake mixes and will definitely give these muffins a go! Hello Anna! Thanks so much for passing by. Please do give the muffins a go! Hello Emily! I’m really happy you like the recipe. We really do love it and make these all the time. They always work! I’m afraid I have never heard of ‘macro’ before. What a terrible food blogger I am! I’ve just googled it and so now have a basic understanding, but I’m afraid I can’t tell you how much protein, carbs etc. are in the muffins. I just know they ‘aren’t too bad’ as muffins go!!! I really hope you give them a go anyway! How many calories, fat, cars ect are in these? Hi Shelley! I’m afraid I don’t know exactly how much fat etc. is in them, but they have about 236 calories each.Enjoy! Thank you Helen for this great recipe. Just made a batch of these muffins with blueberries from our garden. They are delicious so light and fluffy and we prefer them the normal calorie laden ones I have made in the past. Can’t see them lasting long think I will be making a few batches of these over the coming weeks. Hello Gwen. Thank you so much for taking the time to pop back here and let me know how you got on with the recipe! They really are lovely, aren’t they? We make them often, and as I think I mentioned in the post my husband isn’t normally a fan of muffins. In fact now you’ve made me want to make another batch of these this week – thank you! I made these muffins with a few substitutions and they turned out really great! Subbed the flour for whole wheat flour, subbed 3/4 of the oil for apple sauce and 2/3’d the sugar. Very good! My 4 year old loves them, which is great because l’m making these for back to school breakfasts. You can smell the Greek yogurt as it’s baking, but you can’t taste the sourness when you eat them. They just taste nice. Thanks! These were a huge hit in my house! They were ridiculously easy to make, and absolutely delicious. If I need to bring something to someone’s house, this is my go-to recipe now! Hi Jen, thanks so much for the lovely feedback. You’ve made my day. I made these again yesterday and they were just as delicious as ever! I’m in the middle if making these blueberry muffins right now. I can’t wait to try them. Only 14 minutes til they’re done!! I was just wondering how many muffins this recipe is supposed to make? Its probably in the recipe, I just can’t see it. I’m guessing 24, I only go 19, I think I made mine a little big! Hi Sherri, sorry for the late reply. I expect your muffins are well and truly made and eaten by now! I must update the recipe with the numbers – sorry about that. When I make these I usually make 10 to 12 big ones, but you can definitely make more smaller ones. How did yours turn out? Thanks for getting back to me and for the number of muffins your recipe makes. Good to know I can make them bigger next time and it’ll be OK! Yes! Our muffins turned out great! There’s only a few left, but hopefully enough for breakfast. We like that they’re not too sweet and that there’s lots of blueberries in them. I’m going to try coconut oil for a twist next time, I hope it works out! Thanks for a great recipe! Take care! The muffins are light with just the right amount of sweetness. I made them with extra virgin olive oil and vanilla flavoured greek style yogurt. Also added some vanilla seed paste for an extra vanilla punch. Thank you, this recipe is a keeper. Hi Amy. Thanks so much for the feedback. These muffins always seem to turn out well, and adding vanilla sounds wonderful! Loved these! I added shredded coconut and sliced almonds on top for some crunch! Aren’t they just the best?! I bet they taste great with almonds on top! I am a big fan of blueberry and searching for something like this for my kids, I will surely try this, but don’t know if I can do it perfectly, however thanks for sharing this. Hi Sofia! You’ll be fine – I find they always turn out great! Please will it make a difference if I use butter? Hi Abigail! I’ve never tried making these with butter so I don’t know, but I suspect they’d still turn out great! You need to use as much melted butter as the oil in the recipe. Good luck! You’re welcome. Let me know how they turn out! Just made these last night and very impressed with the recipie. Super easy to make with all your pantry staples. I didn’t have enough fresh blueberries so added in half frozen. Also added in some vanilla paste and they were delish 🙂 will definitely make them again thanks! Thanks for the review, Judy! 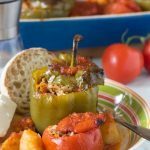 This recipe never fails me, and sometimes I’m not even all that accurate with the ingredients! Just made these now. They worked perfect, even though I had to add extra milk as I still found the mix pretty stodgy. I do feel that there’s not enough flavour for me though, next time I think I’ll add some vanilla and mixed spice or cinnamon. Hi Chanelle. Thanks so much for bothering to pop back and leave your feedback. I always appreciate an honest review. It’s a great idea to add vanilla or other flavourings. Why not? I made these and I wanted to like them, but they taste AWFUL! Your recipe says 1 tablespoon of baking powder. I checked it twice to make sure. Is it supposed to be 1 teaspoon?? Because as is, they taste really really bad. Hi Sarah, yes 1 tablespoon is correct. I can’t think what went wrong then. I had these muffins again just yesterday (a friend made them) and they tasted as good as always. Can you think of anything else that could have gone wrong? 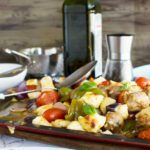 This is a really well tried and tested recipe and most people love them! They are probably not quite sweet enough for some but you can always add a bit more sugar or some honey. Thanks anyway for your honest feedback, Sarah. I really appreciate it! Just made these today with a 20m/o and a 4y/o for Father’s day. Despite having to make a few substitutions (plain yogurt for Greek, no milk so just used extra yogurt, chocolate chunks for blueberries) and some dodgy measuring (no actual measuring cups and spoons) they came out amazing! 12 big golden fluffy muffins. Thanks for the great recipe! Hello Joy! Thank you so much for taking the time to pop back here and comment. It’s really encouraging to me to hear that these worked out well despite some changes. I always see these muffins as pretty fail safe so it’s good to hear that someone else has found the same. Really glad you all enjoyed them, and thank you for the 5 star review! Unbelievably amazing! Ive finally found the perfect blueberry muffin recipe, so light and fluffy. They’re perfect for both breakfast or dessert! Hi Ella. Thank you so much for bothering to leave your review! We make these extremely regularly, and they’ve never let me down. I’ve made big, small, with fresh blueberries, with frozen blueberries, with chocolate chips instead of blueberries, etc. etc.! They always seem to be good. So glad you enjoyed them too! This recipe is AMAZING!! I haven’t has muffins this light and fluffy before. It has just the right amount of sweetness, I added more blueberries and some brown sugar and almond streusel on top for a bit of crunch. Thank you so much for leaving your review, Eryani! I’m so glad you like the muffins so much. I love how you customized them, too. I sometimes add the bit of brown sugar on top but the almond streusel sounds divine! Thank you for sharing this recipe. I did not have plain Greek yogurt, so I used 1/2 blueberry Greek yogurt and 1/2 vanilla Greek yogurt. I also added 1/2 tsp vanilla extract, 1 tsp ground cinnamon, and the zest from one lemon. I subbed 1.5 C of whole wheat pastry flour for the white flour. also had to add some extra milk and some additional oil to get the batter loose enough to fold in the blueberries (perhaps because I used ww flour?). These are excellent and will make again. You’re very welcome, Rebecca! I’m so glad you tried a few substitutions and still got a great result! I find these are hard to mess up. Sometimes I need to add a bit more milk too, depending on what type of yogurt I use, but they always turn out good! Just made these muffins and they are delicious. I’ve tried other recipes and the blueberries sink but these are perfect. Hi Jill. Thank you so much for taking the time to leave your review. That’s interesting that the blueberries have sunk with other recipes you’ve tried! I never thought of that to be honest, but that’s great that they don’t sink in this recipe. I think the batter is fairly thick for these compared to some other muffin recipes, so maybe it’s that. Anyway, so glad you enjoyed them! These have been my go-to recipe for muffins ever since I first made them! 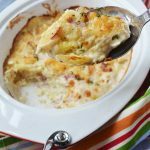 My daughter say this is the best recipe she had ever had! And I am going to try it anyway, I have three questions, can I skip the soda? 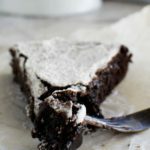 For sugar, can I use brown sugar instead of white? Also, not talking about calories, if I substitute the oil with butter, how much of butter will you recommend? Hi Samantha! I’m so glad you’re going to give these a try! I hope you won’t be disappointed! I find these muffins always turn out well, but I’ve never tried making the substitutions you’re thinking of doing. I think you’ll be fine skipping the soda. As for the sugar, because there’s only a small amount (relatively) in the recipe, I think that will work too, but I can’t guarantee it as I haven’t tried it. I also think you’ll be fine substituting oil for butter. Just melt the butter in the microwave and use it as you would the oil. I’d use 2 sticks of butter (8 ounces/227 grams) and see how that goes! If you get a chance, I’d love it if you’d pop back here and let me know how you got on! You’re welcome! Thanks so much for bothering to leave a review – really appreciate it! I made these without the oil, and added water and lemon juice until my mix reached a good consistency. I also reduced the sugar to 1/4 cup. I’m on WW, so I am always on the quest for good snacks! Just came out and are toddler and mama approved! Thanks! Hi Allison! Thanks so much for leaving a review! It never ceases to amaze me how failsafe and versatile these muffins are. No matter what you do or how many subs you make, they always seem to turn out well. I really appreciate you sharing how you adapted the muffins. It’s particularly interesting that you left out the oil and further reduced the sugar! I’ve used your recipe twice now. Today I did 2 batches, choc chip and raspberry. For the choc chip I used ‘Sweet and natural Greek style yoghurt’ (from Aldi) and didn’t add any sugar at all. For the raspberry ones I also used the sweet yoghurt, but added the sugar, as the raspberries usually are tart (frozen ones). They are both fantastic, will definitely make them again. Great ideas, Trina – thank you so much for letting me know! I’ll have to try that – I’m thinking all kinds of flavoured yogurts would work! Can I check with you, if i don’t use any sugar at all for this blueberry muffin, will it affect the texture? or rather, in order to make this edible, what is the lowest sugar level you would recommend? I am a beginner as i just got my first oven for 2 months… i know it will definitely affect the taste .. I’m currently 34 weeks pregnant and I’m craving for muffins ! but my gynaecologist asked me not to have too much sugar! sighs! another quick question, is it ok if i use only whole wheat flour pls? thanks!! Hello Jo! Congratulations on your pregnancy! Not long to go now!!! I don’t think the recipe depends on the sugar to work. If you’re feeling really brave maybe you could skip the sugar altogether and squirt in a little date syrup instead? Would love to know what you decide and how you got on! These muffins pretty much ‘never fail’ no matter what you change, very bizarrely, so I’d be interested to know what a no sugar version turns out like! Never made muffins before, but was looking for a relatively low fat treat. Substituted frozen blueberries for fresh, and found the recipe a breeze. Very happy with the results. Thanks. Hi Mike! Thank you so much for leaving your review. I often use frozen berries and find it works really well too. So glad you liked the recipe!